Bring the thunder with four combat-ready Premium warships: Iwaki and Arkansas, along with the exclusive Marblehead and Gremyashchy (available for a limited time in select early access bundles). 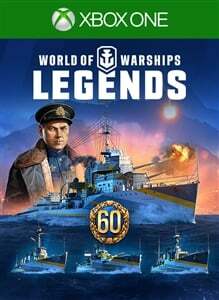 Includes: • Iwaki – Tier III Japanese cruiser • Arkansas – Tier III American battleship • Marblehead – Tier IV American cruiser • Gremyashchy – Tier IV Soviet destroyer • Anton Gurin – Soviet Commander • Unique "Founder" permanent camouflage • Unique Founder's Flag • Unique Collector's Flag • 60 days of Premium Account time • 6,000 Doubloons • 4,000,000 Credits • A big pack of boosters NOTE: Certain contents will become available to you upon reaching a specific account level. Doubloons will be given as compensation for duplicate Premium ships. This game is a work in progress. It may or may not change over time or release as a final product. Purchase only if you are comfortable with the current state of the unfinished game. 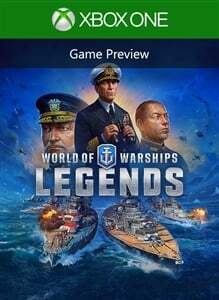 Experience epic naval action in World of Warships: Legends, a global multiplayer free-to-play online game where you can master the seas in history's greatest warships! Recruit legendary commanders, upgrade your vessels, and stake your claim to naval supremacy with or against players around the world.